Star Plus Kasautii Upcoming. 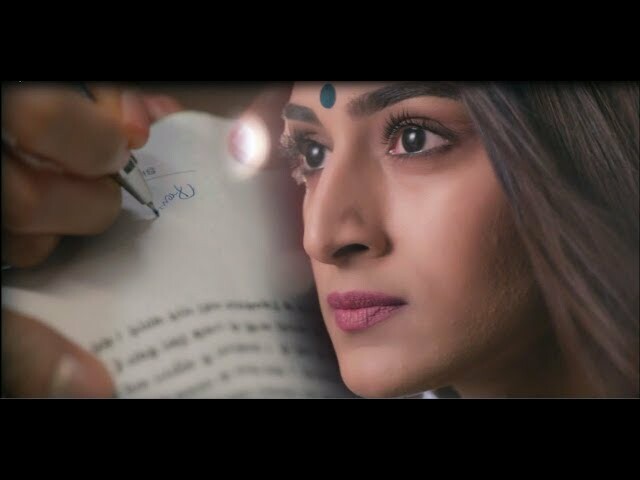 Komolika informs Mishka about Prerna’s signs on the legal documents. Mishka wants to alert Prerna and free her from the evil plan of Komolika. Prerna doesn’t get to know the trick. Mishka fails to explain her. Anurag learns about the last night incidents. He gets a huge shock knowing he has married Prerna once again and that too in front of Mohini and Komolika. Anupam tells him about Mohini’s regretful slap. Anurag worries to face his mother. On the other hand, Komolika reaches Prerna’s house to get an insulting dose to Veena. She takes revenge for Veena’s slap. She makes sure that Veena regrets for the slap. She tells Veena about her big plans against Prerna, through which it will be very easy for her to throw Prerna out of the Basu house. Komolika informs Veena about the guilt admittance documents signed by Prerna. She also reveals how she has tricked Prerna to get the papers. Veena rushes to inform Prerna about Komolika’s plans. She alerts Prerna so that Prerna takes a step in defense. Prerna confronts Komolika about her cheat, when the latter shows her the exit door. Prerna refuses to leave her rights on Anurag. She gets against Anurag once again. She tells Anurag that he is spineless and his family is also the same, so she doesn’t expect any help from him. She tears the papers and declares her rights as Bahu family bahu. Prerna gets bold to answer Komolika and Mohini on her own. Krishna Chali London: Krishna goes to her parents’ house for Pagphere. Veer doesn’t want her to go. He thinks to go to hospital and stay busy to pass the day. Shukla plays his move to spread the poison in the city in the form of medicines. He wants Veer to pay for this crime. He gives clue to the police so that Veer gets arrested. Shukla wants to ruin Veer’s life. Veer gets the shocking news by watching the poison story running on the news channels. He can’t believe it. He soon gets arrested and gets tortured by the police. He asks Sunaina not to inform Krishna and just call the lawyer. Veer gets troubled by facing the media questions. Veer seeks legal help. Krishna isn’t aware of his problems. She awaits Veer to come home and pick her soon. Veer pleads innocence, but the inspector doesn’t spare him. The people fall ill in the city. Veer gets blamed by the families and police. Shukla enjoys the scene. Veer doubts that Shukla has trapped him in the poisonous drugs matter. Sunaina tries to take help from the lawyer, but Veer’s bail gets rejected. Lawyer still assures to try his best and save Veer. He asks Sunaina to gather any evidence in Veer’s favor. Veer learns that all the evidences are against him. He knows Shukla is behind everything since he had declared revenge to him before. Krishna learns about Veer’s arrest and the shocking accusation on him. She rushes to help Veer and save her from Shuka’s evil plans. She thinks to find an evidence against Shukla. Yeh Rishte Hai Pyaar Ke: Mishti and Abir meet again in the market and have a cute nok-jhok. Their friendship gets more stronger with their every meet. Abir is happy that Kuhu is Mishti’s sister. He wants someone like Mishti in his life. He has no idea that Meenakshi is going to ask for Mishti’s hand for Kunal. He doubts Meenakshi and thinks to find out her plans. Abir gets worried that she may spoil the things in the meet with Maheshwaris. He tells the family that they should leave Meenakshi and go alone to discuss the alliance. Meenakshi becomes excited for the alliance talks. This grows Abir more doubtful of her intentions. The family is happy to take the alliance ahead. Maheshwaris get excited to welcome Rajvansh family. They want Kuhu to get the best Sasural. Abir and Kunal meet Maheshwaris. Kunal gets happy to meet Kuhu. Meenakshi likes Mishti and finds her similar to Kunal. She tells Maheshwaris that she likes Mishti. She sends Abir for some work by her smartness and then chooses Mishti for Kunal. She asks Maheshwaris if they agree for this alliance. Kunal and Kuhu get heartbroken because of Meenakshi. The family feels bad for Kuhu. Meenakshi clears out that she would just get Kunal married to Mishti if the family agrees, else she may find any other girl for him. She disapproves Kuhu and calls her a bad match for her son. She gets revenge on Kuhu. Kuhu breaks down and misses her first crush Kunal. Meenakshi asks Maheshwaris to reply her about the alliance. Vishwamber decides to not have any terms with Rajvansh family and refuses to approve Mishti and Kunal’s alliance. Meenakshi wins the game by intentionally drawing complications in Maheshwari family. Kuhu gets upset because of Mishti and blames her for all the problems. Abir learns his mother’s big move and understands her silent game plan.